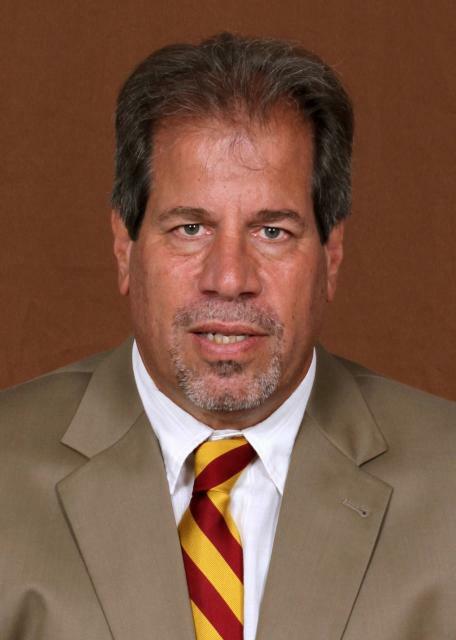 Florida State head coach Mark Krikorian took over the Seminole women’s soccer program in 2005 and has proven to the nation that FSU soccer will be a national title contender on an annual basis. Through 14 seasons in Tallahassee, Krikorian has led FSU to a pair of NCAA National Championships in 2014 and 2018, nine College Cup appearances, four appearances in the national title game (2007, 2013, 2014 and 2018), three ACC regular season titles (2009, 2012 and 2014) and six league championships (2011, 2013, 2014, 2015, 2016 and 2018). To further prove the model of consistency that Krikorian continues to provide, Florida State was the only school in the country to finish each season from 2005-2015 ranked in the top 10 of the final NSCAA/United Soccer Coaches poll. In fact, the Seminoles were ranked in the top 25 of the United Soccer Coaches poll for 171 straight weeks – a streak spanning from September 6, 2005 to October 31, 2017. That streak hit an all-time high in 2012 when Florida State took over the top spot in the NSCAA top 25 poll on August 28. The Seminoles would maintain that No. 1 ranking for a school record eight consecutive weeks posting a record of 7-1-0 against ranked opponents during that run including three wins over teams ranked in the top 10. FSU’s climb to the top spot marked a first for the Seminoles in the NSCAA poll and a first since 2006 when Soccer America had the Noles at No. 1 for four consecutive weeks. The Seminoles regained the No. 1 spot in the polls following their 1-0 victory over Virginia to secure the 2014 National Championship. FSU remained the No. 1 team in the country for four weeks during the 2015 season and owned the top spot for the first four weeks of the 2016 season. Krikorian has registered at least 16 wins in 12 of 14 seasons at Florida State while finishing no lower than second place a total of 11 times in the Atlantic Coast Conference, the nation’s premier soccer conference. Krikorian led the Seminoles to a share of the ACC regular season title and the No. 1 seed in the ACC Tournament for the first time in school history in 2009. Two years later he guided the Seminoles to their first ACC Championship as Florida State defeated Wake Forest 3-1 in penalty kicks. The Seminoles reigned supreme in the ACC once again in 2012 winning the outright regular season title with an 8-2-0 record. In 2013, FSU went on to capture its second league championship with a 1-0 victory over Virginia Tech becoming just the third school in ACC history to win multiple league titles. In 2014, Florida State earned both the ACC regular season and tournament championships for the first time in school history, allowing just three total goals against league opponents in 13 total games. During 2015, the Noles finished 6-1-3 in conference play in the regular season and defeated No. 1 Virginia, 7-6 on PKs, to secure their third consecutive ACC Tournament title. The Noles entered the 2016 ACC Tournament as the No. 6 seed, but FSU won its fourth conference championship in a row after topping No. 6-ranked Duke, No. 9 Clemson and No. 10 North Carolina. In 2018, Florida State finished seventh in the ACC regular season standings, but took down each of the top three schools in the conference – No. 1 North Carolina, No. 2 Duke and No. 3 Virginia – on its way to its sixth ACC Championship in eight seasons. Earning the 2018 NCAA Championship was a complete team effort, as the Seminoles played with 14 different starting lineups through the 27 matches of the season due to a combination of injuries, international callups and illnesses. Nineteen of the 23 players that saw game action on the year earned at least one start, and no lineup combination was used more than six times on the year. That allowed the team to gain valuable experience and versatility and depth in order to make the run to the ACC and NCAA Championship. The Seminoles finished with a 20-4-3 record and defeated each of the last three national champions in the 2018 NCAA Tournament en route to their second title – 2017 Stanford, 2016 USC and 2015 Penn State. Florida State defeated No. 1 Stanford in the NCAA semifinal by a score of 2-0, snapping the Cardinal’s 45-match unbeaten streak, which was the fourth-longest in NCAA history. Overall, Florida State held a 9-1-2 record against ranked opponents on the season, including a 6-1-2 mark against Top 10 teams. The Seminoles culminated the season with a 1-0 shutout of No. 3 North Carolina in the NCAA Championship Game, defeating the Tar Heels for the second time in 2018 and tenth time in school history, the most of any school in the nation. The offensive production from the Seminoles came from all over the pitch as 16 different players scored at least one goal – matching a school record set in 2012 – and 10 players had multiple goals on the year. Deyna Castellanos posted an All-American season by leading Florida State with 28 points on 10 goals and eight assists. Freshman Yujie Zhao made the most of her first season of collegiate soccer, earning ACC Freshman of the Year and TopDrawerSoccer National Freshman of the Year honors, as she scored seven goals and added five assists. Krikorian also earned TopDrawer Soccer National Coach of the Year honors in 2018. The 2017 season was marked by youth and versatility as the Seminoles routinely had six freshmen in the starting lineup and a total of 16 players earned a start, with 14 players posting at least seven starts. FSU finished with a 13-7-1 record, including a 7-2 mark at home at the Seminole Soccer Complex. Florida State won its first three home matches of the season to push its home unbeaten streak to 36 games, before falling 1-0 to No. 10 North Carolina. That streak is the second-longest in program history, trailing only the 37-match home unbeaten streak set from 2011-14. For the second year in a row, the Florida State-Florida match was affected by a hurricane, with Hurricane Irma moving the match from September 8 to October 12. The Seminoles triumphed over the No. 10 Gators with a 2-0 victory on the road in Gainesville. Individually, sophomore Deyna Castellanos led the Noles offensively with 41 points on 19 goals and three assists. The 19 goals ranked second-most in the NCAA in 2017 and is the second-most goals scored by Seminole in a season in program history, trailing only Mami Yamaguchi’s 24 from 2007. Castellanos earned United Soccer Coaches Second Team All-American honors, to go along with All-ACC First Team accolades. Castellanos was also a top three finalist at the 2017 FIFA Best Awards for Best Female Player of the Year, as well as the Puskas Award. Redshirt senior goalkeeper Cassie Miller capped off her Seminole career with eight more shutouts, giving her a career total of 48, which ranks third most all-time in NCAA history. Two of those shutouts came in the NCAA Tournament, improving her postseason shutout total to 13 in her career. Youth was on display for the Seminoles in 2016 as eight of the 11 starters were either freshmen or sophomores, while 18 of the 24 players on the roster were underclassmen. It matched the highest total of combined freshmen and sophomores on an FSU roster under Krikorian, while the ratio of 75% underclassmen was the highest of any team he has had. Each of the top five scorers on the team were freshmen and sophomores, as sophomore Megan Connolly led the team in points for the second consecutive season. Freshman Deyna Castellanos made the most of her first year of collegiate soccer, tying for the team lead with seven goals in just 13 games, as the Venezuela native missed a month during the season to play for her national team at the 2017 FIFA U-17 Women’s World Cup. The FSU veteran presence in 2016 was felt on the defensive backline, as redshirt senior defender Kirsten Crowley, junior defender Emma Koivisto and redshirt junior goalkeeper Cassie Miller led a Seminole defense that finished second in the nation in goals against average and fourth in shutout percentage at the Noles posted 15 clean sheets on the year. The 2015 season saw Florida State reach the College Cup for the fifth consecutive season, setting two NCAA Tournament records in the process. Building off of the success in 2014, the Seminoles own NCAA marks of 10 consecutive shutouts and a consecutive scoreless streak of 931:47 during postseason play. Overall, the Noles finished with an 18-3-4 record and a No. 3 ranking by the NSCAA. Freshman Megan Connolly led the Noles with 28 points on nine goals and 10 assists and was named the ACC Freshman and Midfielder of the Year. Connolly became the first FSU freshman to be named a First Team All-American by the NSCAA and she was also a semifinalist for the MAC Hermann Trophy. In 2014, the Seminoles earned their first national championship in an impressive season that saw Florida State control its opponents all season long. FSU posted 19 shutouts over 26 games, allowing only nine goals on the season. Florida State closed out the season with seven shutouts and became just the second team in history to win a national championship without allowing a goal in all six games of the NCAA Tournament (North Carolina, 2003). The 2013 season marked the 13th straight year Krikorian led a team to the NCAA Women’s Soccer Tournament and the 9th time he guided a Division I squad into the quarterfinals. He took Hartford to the NCAA Tournament from 1997-2000 including trips to the quarterfinals and two appearances in the round of 16. He has guided FSU to a berth in the quarterfinals in 11 of his 12 seasons, along with a lifetime winning percentage of .765 (50-15-1) in the NCAA Division I Women’s Soccer Tournament, while he has captured two Division II National Championships with Franklin Pierce. Krikorian’s national championship in 2014 makes him the second head coach to win a title at two different NCAA divisions and the only one to do it at two different schools. Since Krikorian’s arrival in 2005, Florida State has produced 31 All-ACC first team selections, 32 United Soccer Coaches All-Americans, 14 Soccer America Freshman All-Americans, 14 players that have earned United Soccer Coaches Scholar All-America honors or Capital One/CoSIDA Academic All-America accolades, 13 MAC Hermann Trophy Semifinalists and six Honda Award finalists. During Florida State’s run to the national championship game in 2007, three athletes were honored at the national level for their outstanding season. Mami Yamaguchi became the most decorated soccer player to come out of Tallahassee claiming the MAC Hermann Trophy, presented to the top female player in NCAA Division I soccer. After rewriting the Seminole single-season record books and finishing the season as the national leader in points (66), Yamaguchi added NSCAA Player of the Year and ACC Offensive Player of the Year to her list of accolades while becoming FSU’s first consensus first team All-American. Amanda DaCosta and Sanna Talonen were named National Freshman of the Year by Soccer Buzz and Soccer America, respectively, the first recipients of such an award in the history of the program. Four student-athletes received All-America accolades from the NSCAA in 2008 for the first time in school history. Tiffany McCarty became the first Seminole to earn ACC Freshman of the Year honors, while a school record seven student-athletes earned All-ACC recognition including three first team All-ACC honorees which tied a school mark. In 2011, the Seminoles completed a series of firsts en route to their first ACC Championship in school history. As the sixth-seed in the tournament, Florida State became the lowest seeded team to win the league title as FSU defeated Wake Forest 3-1 in penalty kicks. FSU added to its series of firsts in the quarterfinals by going on the road and handing North Carolina its first-ever loss in the ACC Tournament and then defeating Virginia (semifinals) for the first time in school history. The Seminoles have flourished both offensively and defensively under Krikorian’s guidance. In 2005, Florida State finished with a +43 goal differential, 11 points better than the previous school record, en route to establishing single-season records for goals (65) and points (188). Those records were shattered two years later as the 2007 squad became the highest scoring team in school history. The Seminoles tallied 233 points on 81 goals and 71 assists, good for a +55 goal differential. FSU went on to set school records for points per game (8.63), goals per game (3.00), assists per game (2.63) and shots on goal (202). The offensive production also made ACC history marking the first time that a school other than North Carolina led the league in every major offensive category. In 2009, scoring was once again at a premium as the Seminoles reached the 200-point plateau for just the second time in school history finishing the season with 204 points on 67 goals and 70 assists. Florida State led the ACC in points, goals, goals per game (2.68) and assists per game (2.80) that year, while ranking eighth nationally in scoring offense. To show just how potent the Seminole offense has been under Krikorian, the five highest scoring seasons at Florida State have all come under his watch and eight of the top 10. Defensively, Krikorian’s teams have been just as good registering sub-1.00 goals against average in nine of his first 10 years. Since 2005, the Seminole defense has posted a 0.77 GAA yielding just under 20 goals a season. Goals have certainly been hard to come by for opponents since Krikorian’s arrival as the Seminoles have posted a shutout in over half of the total games he has coached – 191 shutouts in 348 games (54.9%). In 2014, FSU set the school record for the fewest goals allowed (9) and the lowest goals against average in a season (0.34), while setting a school record for shutouts with 19. The Seminoles allowed just two goals to ACC opponents in the regular season and recorded two separate streaks of over 500 minutes without surrendering a goal. With 19 shutouts in 2014, FSU extended the school’s streak of reaching double-digit shutouts to 10 consecutive years. In the postseason, Florida State has posted 43 shutouts since 2005 including a school-record six shutouts in 2014. His first year on the job was nothing short of magnificent leading the Seminoles to their first 20-win season and second College Cup in 2005. In his second year at the helm, the Seminoles continued their dominance reaching the College Cup for the third time in the program’s 12th year. The 2008 season was no different as he directed the Seminoles to an 8-1-1 record in the ACC, their highest winning percentage (.850) in league play in school history. In 2012, the Seminoles tied the school record for victories (20) while winning their first outright regular season ACC title with an 8-2-0 record. A year later Krikorian led the Seminoles to a school record 23 victories, including 10 wins in a 13-game ACC schedule, and to just two losses all season, the fewest recorded in school history. The 2014 season saw Krikorian decrease that loss category to one, as the Seminoles earned their first national championship and first undefeated season in conference play (9-0-1). In 12 of his 14 seasons at FSU, Krikorian has earned at least three NCAA Tournament wins and reached the tournament quarterfinals, a feat that had only occurred once prior in program history. It should not be surprising when examining Krikorian’s past. He won two National Championships following undefeated seasons at Franklin Pierce. He then built Hartford into a national power before coming to FSU. Krikorian has never posted a winning percentage below .700 at any of his collegiate head coaching positions. With that kind of success it is easy to see why he is one of the most successful coaches of all-time. Krikorian currently ranks eighth on the all-time list for winningest coaches across all divisions and has the second winningest percentage among active head coaches in Division I. After what Krikorian has done at Florida State, it would be hard not to argue that he is one of the best coaches in Division I. In 2012, he led FSU to its best start in school history as the Seminoles won its first 14 matches outscoring the opposition 31-3. The 14-game win streak was five better than the previous win streak set in 2005 and one better than the 13-game unbeaten streak orchestrated by the 2008 squad. The 10 longest win streaks in school history have all come under Krikorian’s guidance. Thirteen seasons ago, Krikorian became just the second coach in ACC history to lead his team to seven consecutive wins in conference play. He tied the mark in 2008 with a string of seven straight wins against league opponents. Both marks fell after the Seminoles won 10 straight ACC games over two seasons from 2011 to 2012, including eight consecutive league wins to open 2012. The Seminole boss also led FSU to a school record 37-game home unbeaten streak (36-0-1) from 2011 to 2014. The home unbeaten streak stands as the ninth longest streak in NCAA history. Krikorian hasn’t just produced wins; he has secured big wins as well. In the first 10 years and 206 games of FSU soccer history, the Seminoles recorded seven wins over top 10 teams. In 300 games under Krikorian, Florida State has recorded 43 top 10 victories including three in 2016. In addition to the win streaks, wins over top teams and trips to the College Cup, Krikorian led FSU to its highest ranking ever in all four college soccer polls including the first No. 1 ranking in school history. After downing No. 1 Portland 2-1 to kick-off the 2006 season, the Seminoles jumped to the top spot in the nation in the Soccer America top 25 poll, a spot they held for four consecutive weeks. Following their national championship in 2014, the Seminoles finished the season ranked No. 1 by the NSCAA. FSU spent a total of four weeks of 2015 as the No. 1 team in the country, including two weeks after defeating No. 1 North Carolina. In Krikorian’s first year at the helm of the Seminole program, FSU established new records for overall wins, winning percentage, fewest losses, most ACC wins, the best ACC winning percentage and longest win streak both in and out of the conference. Krikorian’s 2005 squad was the first in school history to reach 20 wins and they matched the highest finish ever by an FSU team in ACC play as they tied for second. He led Florida State to a school-record seven wins over NSCAA top 25 teams and for the first time in program history, FSU spent a month ranked among the nation’s top 10 teams in every soccer poll. Krikorian took a Seminole team that was eliminated in the first round of the NCAA Tournament in 2004 and led them to the College Cup the very next season. He was just the sixth coach in the history of DI women’s soccer to lead his team to the national semifinals in his first season at a school. At the time, FSU was one of six schools who had gone to the College Cup under the direction of two different coaches. For his efforts, Krikorian was honored both regionally and nationally in his first season. He was named the first ACC Coach of the Year in Seminole soccer history, the 2005 Soccer America National Coach of the Year, the 2005 Soccer Buzz National Coach of the Year, Soccer Buzz’s Southeast Region Coach of the Year and the NSCAA’s South Region Coach of the Year. On top of his impressive resume in coaching the top talent at the collegiate level, Krikorian has worked with the world’s best players during his stops as the head coach of the U.S. U-19 National Team and his three years with the Philadelphia Charge. Florida State’s head coach has worked with soccer greats from all over the world including U.S. National Team stars Brandi Chastain, Kristine Lilly, Tiffeny Milbrett, Heather Mitts and Lorie Fair, English National Team player Kelly Smith, French National Marinette Pichon and Brazilian National Team players Sissi and Katia. Florida State players haven’t only been recognized for their success on the field, but in the classroom as well. Over the last 23 years, Florida State has earned regional/district academic awards 54 times. Katrin Schmidt and Kirsten van de Ven were named first team Scholar All-Americans by the NSCAA in 2007 and Becky Edwards followed suit in 2008. In 2009, Edwards was named a third team Academic All-American by CoSIDA/ESPN the Magazine. Kassey Kallman became the program’s first two-time Academic All-American earning second team honors in 2012 and 2013. Emma Koivisto was named a Third Team Academic All-American in 2015 and All-Region in 2017, while Kirsten Crowley earned First Team Scholar All-American honors in 2016. Additionally, FSU soccer players have been named to the ACC All-Academic Team 57 times including 34 times over the last five years with a school record eight named to the team in 2011. Tori Huster led the pack in 2011 becoming the first Seminole soccer player to earn ACC Scholar-Athlete of the Year honors, while Kallman won the award in 2013 and Dagny Brynjarsdottir in 2014. A four-time ACC Coach of the Year (2005, 2009, 2012 and 2014), Krikorian has been at the helm of a college team for a total of 25 seasons now and has recorded 18+ wins 15 times during that span. The 2005 season bettered his first year coaching at Franklin Pierce and Hartford for wins, fewest losses and highest winning percentage. Prior to taking over the Seminole soccer program, Krikorian came to Florida State fresh off leading the United States U-19 National Team to the bronze medal, while winning the FIFA Fair Play Award at the 2004 U-19 Women’s World Cup. As the head coach for the U.S. U-19 National Team, Krikorian was responsible for all technical aspects of the program as the team prepared for the second-ever U-19 FIFA World Championship. His U-19 squad cruised through group play with an undefeated record beating South Korea, Russia and European Champion Spain. They were the only team to win all three group matches in the tournament, as the U.S. outscored its opponents 8-1. Krikorian then led the U.S. past Australia in the quarterfinals before falling to eventual World Champion Germany in the tournament semifinals. The team responded by beating Brazil 3-0 to secure the bronze medal. The team not only left Thailand with the bronze medal but they also were awarded the FIFA Fair Play Trophy. Individually, U.S. midfielder Angie Woznuk received the Silver Ball as the tournament’s second Most Outstanding Player and the Bronze Shoe as the tournament’s third-leading scorer. Overall, Krikorian’s squad outscored the competition 13-4 during the World Championships. Krikorian’s work with the national program continued at the 2011 FIFA World Cup serving as an advanced scout for the United States Women’s National Team. He was one of four scouts that provided expert analysis for Team USA and head coach Pia Sundhage. Krikorian scouted eight teams, in eight games covering six different cities in Germany. He was on hand in Berlin for the opening game featuring Germany and Canada and in the stands for the U.S.’s amazing comeback in the quarterfinals against Brazil. As head coach of the Philadelphia Charge from 2000-2003, Krikorian had another opportunity to coach the top players in the world and he once again proved he could develop talent and guide players to great heights. Not only did he coach 2002 WUSA MVP and Offensive MVP Pichon, but he also tutored the league’s top keeper in Melissa Moore, who led the league with a 1.00 GAA. He coached the Charge to two playoff berths in his three seasons and was named the league’s coach of the year in 2002. Krikorian drafted and coached 10 WUSA All-Stars in just three years on the Charge bench. In his first season with Philadelphia, Krikorian posted 11 wins in leading the Charge into the playoffs. The team finished the season ranked third in the regular season standings. The next year the Charge once again won 11 games and finished second in the standings, which was an amazing accomplishment considering Krikorian’s top player was lost for the season when Kelly Smith went down with an injury. His squad still finished the regular season 11-4-6. Krikorian had achieved an equal measure of success on the college level before jumping to the WUSA. He coached the University of Hartford for five seasons from 1996-2000 leading the squad to an Elite Eight and two ‘Sweet 16’ appearances during his four consecutive trips to the NCAA Tournament. He recruited five NSCAA All-Americans, three academic All-Americans and his squads received the NSCAA Team Academic Award on four occasions. Overall, Krikorian’s teams averaged 15 wins per season as he posted a 75-30-3 overall record while winning three conference championships. Three of his squads finished the year ranked in the NSCAA’s top 15. Krikorian wasted little time in turning Hartford into a national power. After going 4-14 in his first season, Krikorian’s Hawks won at least 17 and never lost more than five games, while advancing to the NCAA Tournament in each of his next four seasons. Hartford immediately improved to 19-2-1 in just the second season under Krikorian including a win over national power Connecticut. Hartford also won just the second NCAA Tournament game in school history that year. In 1998, the success continued as the Hawks posted a 17-5 record while advancing to the ‘Sweet 16’. That year Krikorian led Hartford to wins over Texas A&M and Harvard in the opening round of the NCAA Tournament. In 1999, only his third year at the helm of the Hawks program, Krikorian put together the best soccer season in school history. Hartford finished the regular season 15-4-2 and as conference champions for the third straight year. That regular season success was tame compared to the team’s magical run through the NCAA Tournament. After opening with a home win over Princeton, Krikorian traveled to Gainesville to take on the defending National Champions. His Hawks dethroned the Gators on the road and then did the same thing a week later to Virginia in a 3-2 triple overtime win. The victory moved the Hawks into the Elite Eight for the first time in school history. In his final season at Hartford, Krikorian put together his most impressive regular season as his Hawks went 17-2. They defeated both Virginia and Florida again. The win over Florida was a decisive 3-0 victory. Krikorian also led the Hawks to the school’s first-ever victory over Dartmouth in the seventh meeting between the programs. Krikorian came to Hartford after spending six years as head coach at Franklin Pierce College in Rindge, N.H., (1990-1995) where he built one of the most dominant soccer programs in the college game. His teams won two National Championships, both during undefeated seasons, and appeared in two other final fours. His squad had a remarkable 39-game winning streak and his 1995 National Championship team finished 20-0-0. Krikorian’s teams compiled a 93-19-3 record in six seasons. He recruited three National Players of the Year, eight All-Americans, five Academic All-Americans and four national scoring champions. His team at Franklin Pierce also garnered the NSCAA Team Academic Award. In 1990, his first year in New Hampshire, Krikorian went 10-6-2. The school’s 10 victories were just four shy of tying the program’s total from its first five years of existence. Two seasons later the Ravens went 20-1-0 with a berth in the NCAA semifinals. After a 16-3-0 season in 1993 and another NCAA semifinal appearance, Krikorian completed his reclamation of Franklin Pierce by going a perfect 19-0-0 and winning the school’s first-ever NCAA women’s soccer championship. What did Krikorian do for an encore? In 1995 he repeated as National Champions, this time with a record of 20-0-0. After departing for Hartford following the 1995 season, the Ravens went on to capture three more National Championships. Franklin Pierce and North Carolina are still the only two schools in the history of NCAA soccer to win four consecutive NCAA Championships across all divisions. Before Krikorian arrived at Franklin Pierce, the school had an all-time record of 21-36-4 in five seasons winning just under 38% of their games. Upon his arrival in 1990, the Ravens have had just two losing seasons in 24 years and have won five National Championships. Krikorian helped build the foundation for the Franklin Pierce dynasty in just six years on the job. And for his efforts was recognized as one of Franklin Pierce’s top 10 most influential people during the school’s 50th Anniversary celebration in 2012-13. Krikorian’s two national coach of the year awards in 2005 continued an impressive trend in which the Seminole boss has been honored at every stop of his career. He was named WUSA Coach of the Year in 2002 and received numerous honors and awards throughout his coaching career prior to moving to the professional ranks. He was named the NSCAA’s Northeast Division I Coach of the Year in 1997, the NSCAA Division II National Coach of the Year in 1992 and 1995, the NSCAA Division II Northeast Region Coach of the Year in 1992 and 1995 and was a two-time New England Collegiate Conference Coach of the Year in 1994 and 1995. In 1990 and 1993 he was named the Division II New England Coach of the Year as well. Krikorian was a standout player at St. Anselm College in Manchester, N.H. from 1981-1983. He was a two-time captain and team MVP. In 1983, he was a New England Indoor Soccer League (NEISL) All-Star and a first team All-New England selection. Krikorian graduated with a degree in history from St. Anselm College and he earned his master’s degree in education from Keene (N.H.) State College in 1994. Krikorian also served as an assistant men’s coach at the University of Maine at Farmington and was a Social Studies teacher at Mt. Abram High School in Maine and Raymond High School in New Hampshire. Krikorian was born in Malden, Mass., on March 28, 1960. He is married to the former Linda Mastrogiovanni. They have two children, Alexandra (17) and Michael (15).